To source abroad profitably, or source at home ethically? To source abroad profitably, or source at home ethically: what is the pecking order? Home Procurement News To source abroad profitably, or source at home ethically: what is the pecking order? The contentious issue of international versus domestic public procurement is in the news again – in Ireland in any case. The Irish Independent newspaper reports that ‘hospitals, the defence forces and public bodies are buying huge quantities of imported food instead of locally produced Irish food’: much to the chagrin of the Irish Farmers Association (IFA). 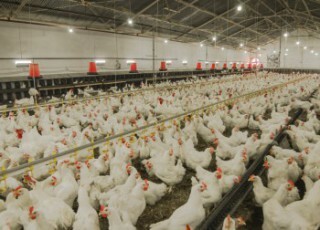 Their survey of 165 public bodies found large amounts of chicken, pork and other products are being sourced overseas. ‘Taxpayers’ money is underpinning the work of those we surveyed and IFA feels very strongly that our food industry should be supported in return,’ said IFA president John Bryan. An admirable sentiment, but the inevitable questions always arise with this issue. Given that no two bids are ever exactly the same, what procurement officer would ever settle for anything less than the best possible deal for his/her organisation? And should the private sector be expected to give special consideration to domestic suppliers? And what of Irish exports if other governments were to follow suit? To source abroad or domestically is an important debate in these difficult times and one that requires leadership from the highest levels of business and government.